Sat., Jan. 12, 2019, 3 a.m. 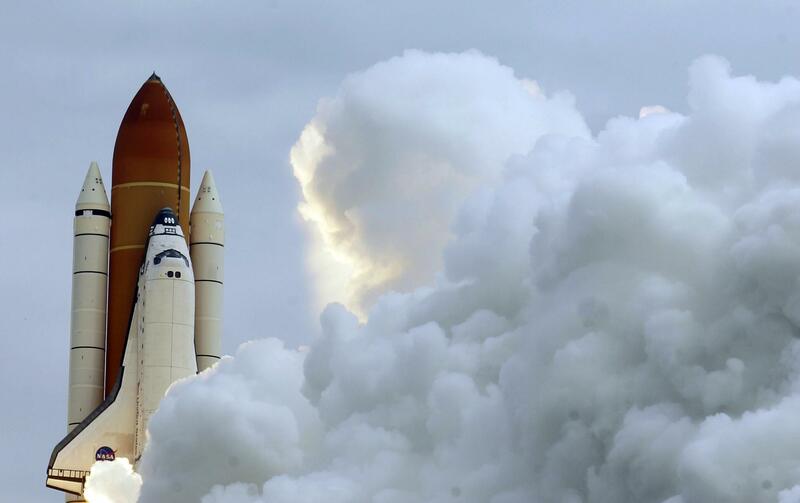 Though the prospect of the return of human spaceflight from United States soil has at times seemed like a mirage, NASA’s astronauts could this year return to space from the Florida Space Coast for the first time since the space shuttle was retired more than seven years ago. If successful, it would punctuate a year that government and industry officials believe could mark a turning point in the United States space program, which could see all sorts of new milestones as NASA celebrates the 50th anniversary of the lunar landing. Boeing is also working to develop a spacecraft it hopes would ferry NASA’s astronauts to the International Space Station by the end of 2019, meaning there would be not one but two American spacecraft capable of flying astronauts to orbit. After successfully scratching what many consider the edge of space last month, Virgin Galactic is planning to make space tourism a reality in 2019. Blue Origin also hopes to fly its first test mission to space this year. And small rocket companies hope to start launching to orbit on a more regular basis. “Early flights are especially dangerous, as there’s a lot of new hardware,” he tweeted. Those caveats aside, here’s a look at some of what’s to come in 2019. He vowed the first flights would take place by 2017, ending NASA’s reliance on Russia to fly its astronauts to space. The company uses a boat with a giant net affixed to it, forming a giant catcher’s mitt. During a recent test it got pretty close. Space tourism: Last month, Virgin Galactic hit a long elusive goal when two pilots flew its spaceplane to more than 50 miles high, just barely passing what many consider the edge of space. The pilots, C.J. Sturckow, a former NASA astronaut who flew on the space shuttle four times, and Mark “Forger” Stucky, a former Air Force test pilot who flew the SR-71 Blackbird, are expected to receive astronaut wings at a ceremony in Washington from the Federal Aviation Administration in the near future. Richard Branson, Virgin’s founder, has said he hopes to fly sometime in 2019, and then send ticket holders sometime thereafter from Spaceport America, the futuristic facility it plans to operate out of in New Mexico. The company hasn’t named a price or nailed down any definitive dates, and it only flew its New Shepard rocket twice last year. But many think the first flight will slip again, and a recent government watchdog recently painted a poor picture of the rocket’s development. In a scathing report, NASA’s Inspector General found the cost of the program could balloon to as much as $9 billion. Despite the criticism, the NASA administrator has stood by the program, saying it is key for the agency to reach the moon. They are designed to meet the needs of a revolution in satellite technology that has shrunk down satellite size to that of a shoe box in some cases. Small satellites don’t need huge, expensive rockets, hence the boom of companies racing to build small launchers. Rocket Lab, a company based in New Zealand and California, is leading the way. It launched three times last year, and CEO Peter Beck said in an email that “2019 will be even bigger.” The company is planning to launch on a monthly basis and eventually start operations from the Wallops Flight Facility on Virginia’s Eastern Shore. Virgin Orbit, another of Branson’s companies, plans its first flight to orbit this year. And Vector is also planning its first launch to orbit this year. If that’s successful, it hopes to fly a handful more times. The small satellite industry is at a point where the personal computer was “in 1987, where it’s about to explode,” said Jim Cantrell, the company’s co-founder and CEO. Published: Jan. 12, 2019, 3 a.m.